1. On the assignment page, scroll down to submit the assignment. 2. 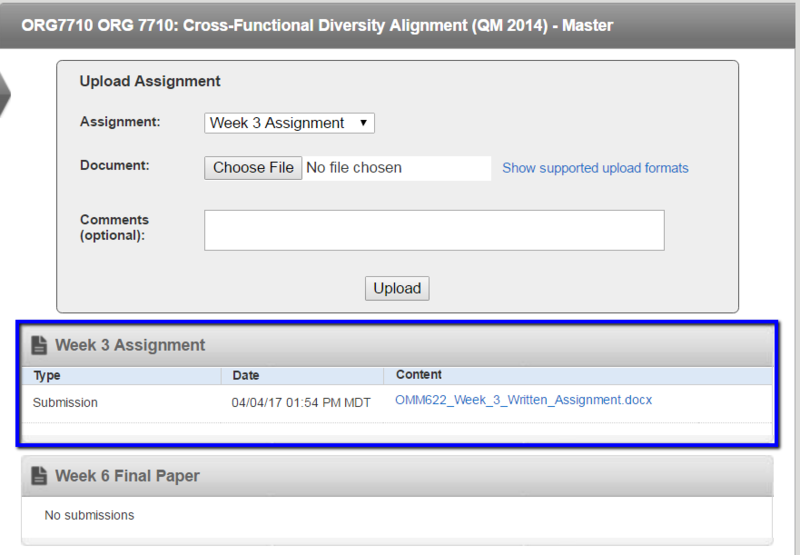 Find and select the "Load Week X Assignment into a new window" button. 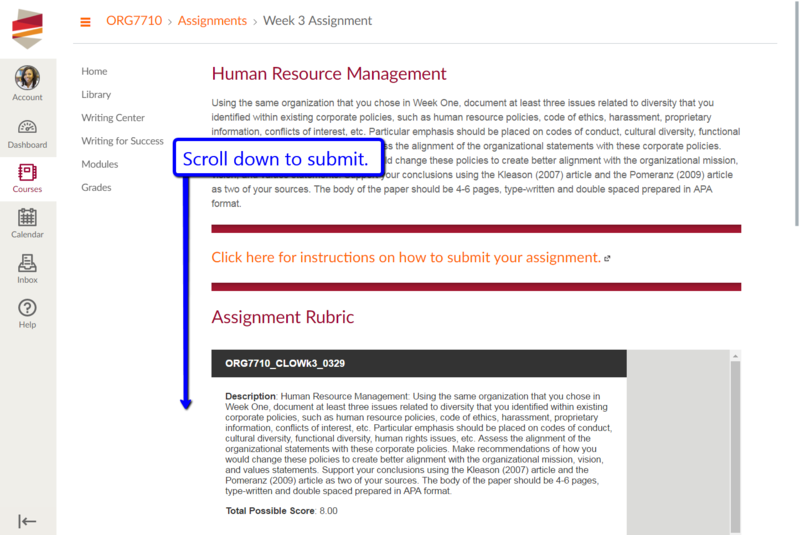 You can upload your assignment as a draft to see what the TurnItIn originality score would be with out actually submiting the assignment for a grade. Follow these instructions to learn how to submit a draft only. 1. In the new window that appears, verify that the correct assignment is displayed in the dropdown menu. The submission type is set to "Submit for Grading" select the dropdown menu and change it to "Originality Check Only" option. Side-note: By selecting the "What is Orginality Check?" link to show more details on this option. 2. When the file select window opens, select the correct assignment, then select the "Open" button. 3. 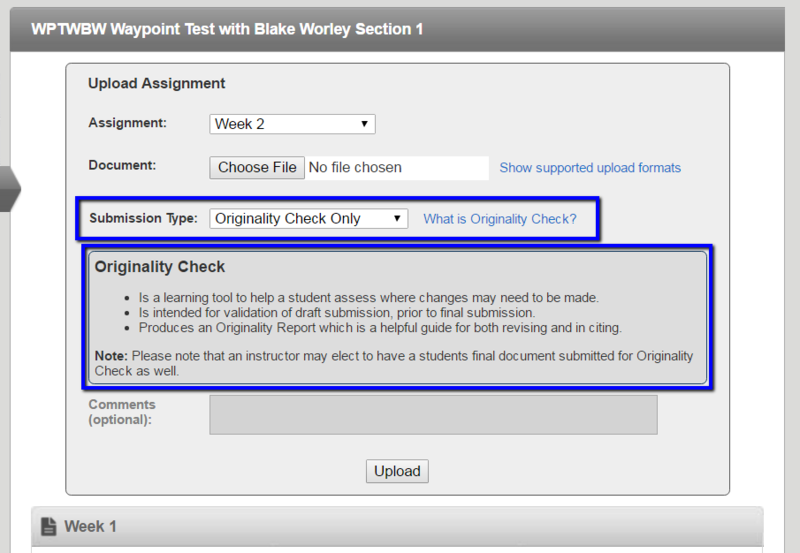 When the screen returns to Waypoint, verify that the assignment is now listed, the "Submission Type" is still set to "Originality Check Only" and then select the "Upload" button. Side-note: If you choose to, you can leave a comment for the instructor to review before you select the "Upload" button. 4. Once the upload has started, you may see a warning pop-up window. 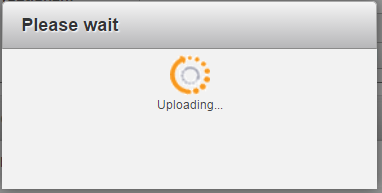 Wait until the assignment has finished loading and the pop-up automatically disappears. 5. After the upload has completed, you can review your submission by scrolling down to the week you submitted to and find the "Originallity Report" link. Side-note: You may have to leave and return to this page since the report may take a few minutes to process. Review the student guides below to get a better understanding of the originality report. 1. 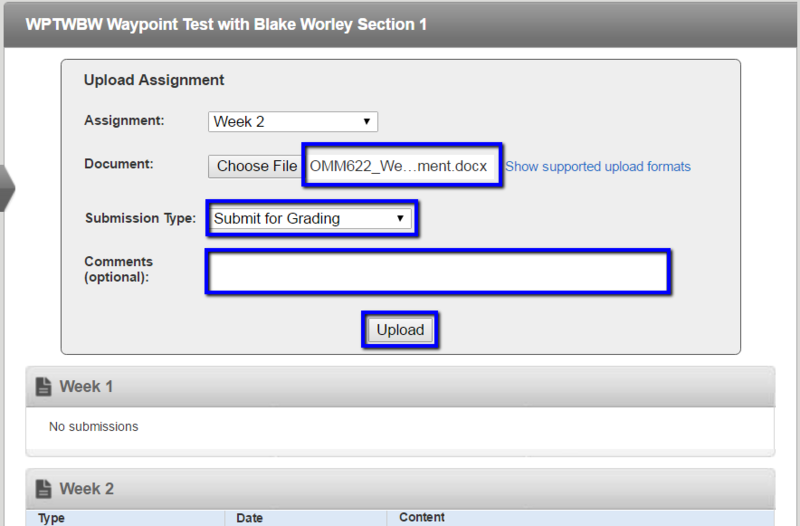 In the upload assignment screen, verify that the correct assignment is displayed in the dropdown menu. 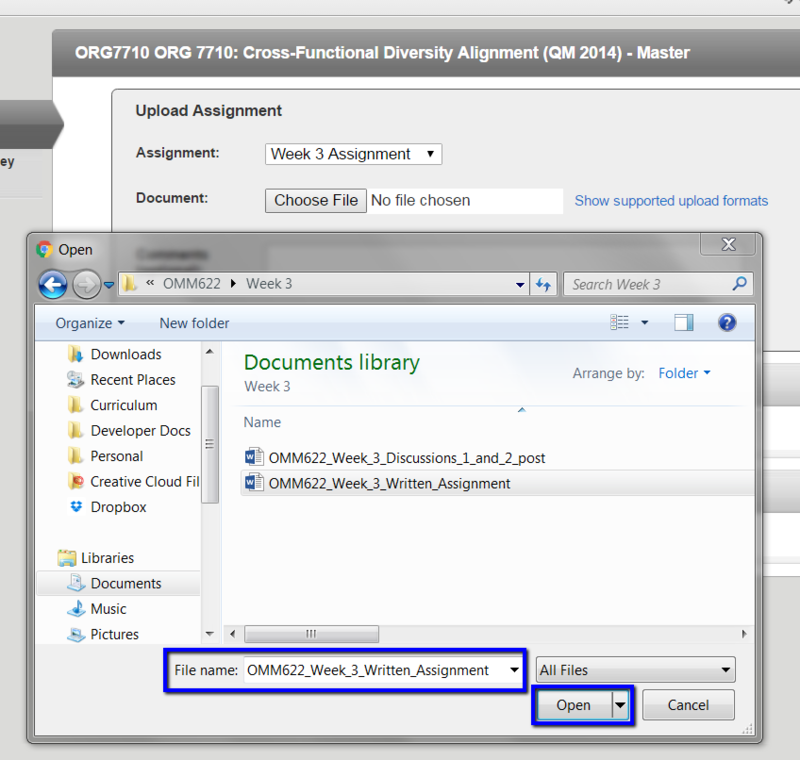 Next change the the "Submission Type" dropdown menu to "Submit for Grading" and then select the "Choose File" button. 3. 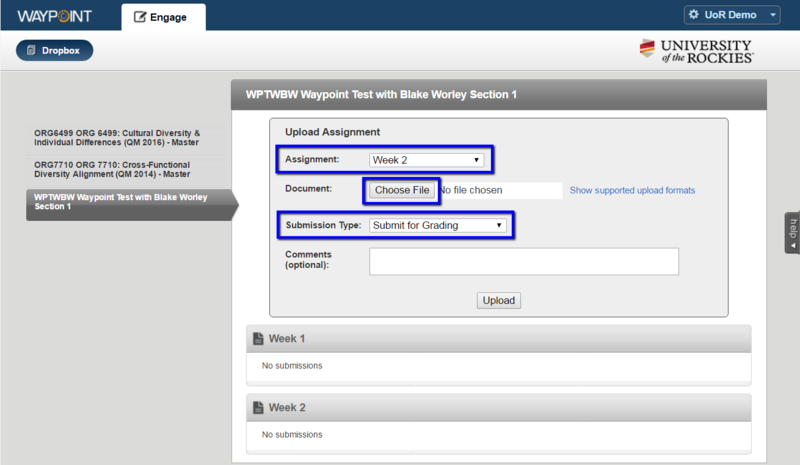 When the screen returns to Waypoint, verify that the assignment is now listed in the document field, the "Submission Type" is correct and then select the "Upload" button. 4. After the upload as completed, you can review your submission by scrolling down to the week section you submitted to.